There are so many options from which to choose when planning a vacation or even where to live. Taking a cruise, traveling overseas, or taking an adventure trip. Among those choices, have you ever considered seeing the wonders of the world through the windows of a recreational vehicle or camper? Perhaps it's never crossed your mind because the thought of 'roughing it' was a turn off. But, times they are a changing. 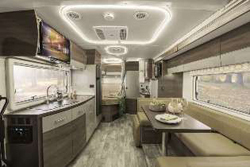 Today's recreational vehicles are as much a modern home, with a gaggle of gadgets, tech toys, internet, even solar power, than any stationary home planted on solid ground. But even better as there is no end to your vacation. The difference? RV's are on wheels, offering all the creature comforts and conveniences of home but with the freedom to travel whenever and to wherever your heart desires. 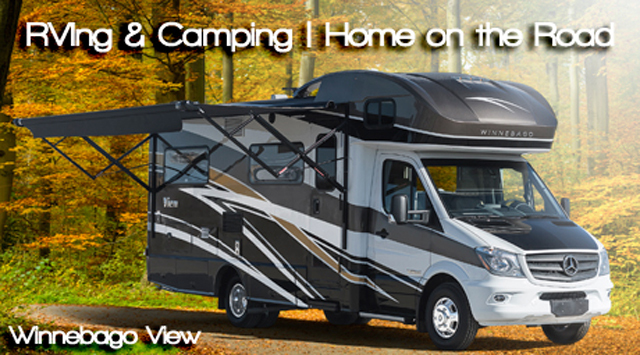 Imagine the freedom of the open road without ever leaving home because in an RV, you're always home. Imagine yourself living anywhere in the world on a whim, meeting new people, like minds, seeing the world on wheels. TV, internet, cooking, bed and bathroom privacy? Not a problem. Here, in RTM's RVing & Camping Channel, find stories of adventure and tips on living life large outdoors. Imagine a month with a front row view of the Grand Canyon. Next month, open your curtains to the colorful caves and canyons of Utah. A month later, look up to the American national monument of Mount Rushmore. If peace and tranquility are your final destinations, then RVing is your final answer. No easy feat finding the perfect RV tow! RVing to a Dude Ranch? Best Ski Towns in the U.S.